OBO. 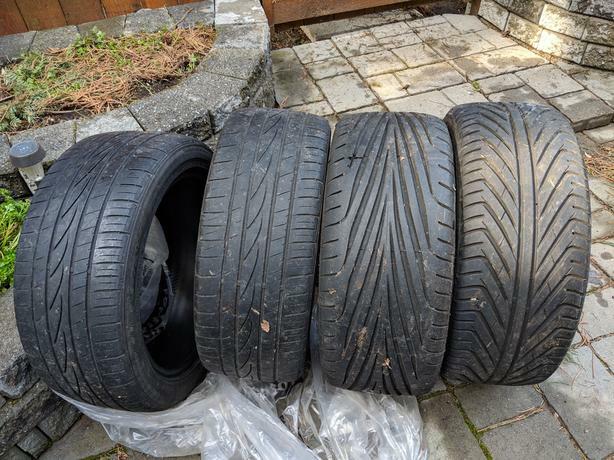 For sale: 4 tires of the same size, though they are mismatched and in different wear states. I had these on my chev cavalier sometime back, and they were fine. Good for someone that wants to bomb around on them for a while. If I remember: The vortex has an asymmetric pattern, so a vehicle running these on the front might bull a bit to that. 1x Goodyear Eagle F1 - 7.99mm tread depth - Only a few thousand kms on it. 1x Vortex YS 618 - 5.83mm tread depth - Only a few thousand kms on it. 2x Falken ZIEX ZE612 3.87, 4.52mm depth - not at the wear bars yet, but do not have much life in them. Buyer must take all 4.